Cool product, will use this seller again! Great buyer fast service , product works great ,will do business again !! Sellers like this are what make eBay AWESOME! !great deal! Very Happy!! Thanks!! The easel is a nice design and the wood used for it is fairly well finished. I did use a little sandpaper to smooth a couple of rough edges. I also coated the bare wood with a light application of the oil that I use on my kitchen cutting boards to protect it from moisture. The assembly was simple but the instructions are tiny, just 4 drawings with no text, and a little vague. Sort of like IKEA furniture directions but not as clear. I'm good at figuring such things out but I fear people not as handy might have trouble with them so that is the only reason I would give this less than 5 stars. You do need a Phillips head screwdriver to put it together. Also, there were two mystery small blocks of wood, each with a dowel peg and two screws, included with the easel but they are not shown on the assembly instruction nor appear on any diagrams or photos of the easel so I have NO idea what they are intended for. They have pre-drilled hole in them that do not correspond to anything on the structure. It's as if they strayed into the package from some other product. I shrugged and put them aside once I figured out that there was no place for them on the easel. So far the easel has proven to be a good support for drawing pads in the live model sessions I have been going to. 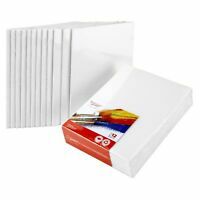 I usually use a 16 x 20 or 18 x 24 pad and it supports them well. It doesn't fold up as small as the metal tripod easel I used to use, but I like the stability and easy set up of it more than the older one as well as the lightness. I'll be using it with a stretched canvas later this week -- already put one on it to check fit and it seems to be just as good a support as with the sketch pads. Maximum height on this for drawing pad or canvas is about 36" but if you put something that tall on it you would have to sit rather than stand using it because it is not that tall and the bottom would be near the floor -- though you could put it on a table. 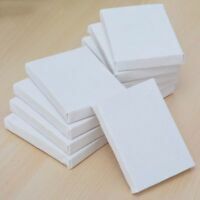 I would say it is more appropriate for small to medium-large drawings and watercolors than for painting on canvas or heavier boards. I don't think it would offer much stability outdoors for plein air painting due to the light weight and narrow profile. 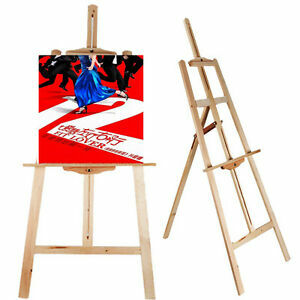 Overall, this is a VERY good value for the price if you need an easel for indoor drawing and watercolors. It's comparable to wood easels I've seen in the art supply stores for around $50 and $60. The only reason I gave four instead of five stars is that for drawing, it's a little light and moves easily when pressure is applied to the work surface. If it is set on carpet or used outdoors this is mostly resolved. It's an excellent value for the money. I have to say the assembly directions were very poor, but I didn't have too much trouble figuring out how to do it. It has a bit more stability than the 3-legged tripod that I've been using for years. Great value and shipped quickly! I'm very pleased with this product. My niece is starting to like drawing and painting and this easel will be perfect. It's not expensive but it will serve its purpose and looks to be well made so I believe it will last a long time for her. Great product for the price, easy assembly.